The circle is a safe space to speak, heal, love and support. In many cultures, the traditional way to celebrate, solve discrepancies, or for rites of passage, was in a circle. As a Circle Keeper Facilitator, in a traditional (nonreligious) way, I honor the ways of the sacred circle to bring healing, communication, and celebration as needed. Are the circles private or open to the public? Community circles are open the public. Private circles, requested by my clients are private. How long does a circle last? Circles with time constraints last 2-3 hours. 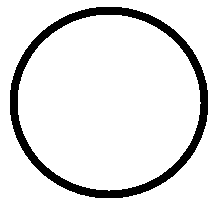 Traditionally, circles last as long as they need to; even if it requires the circle to come together over a period of days. Where is the circle held? The best place for a circle to be held is one where the participants can focus without distractions or noise. As of now, I travel to my clients' homes or places that have been reserved specifically for the circle. I travel nationwide. How do we book a circle? What is a centering table? A centering table, also referred to as an alter, is where everyone places something of importance to remind them of their purpose of being in the circle. Why do you use incense or sage? Incense and sage are used to clear the energy of the room and to set a peaceful ambience.